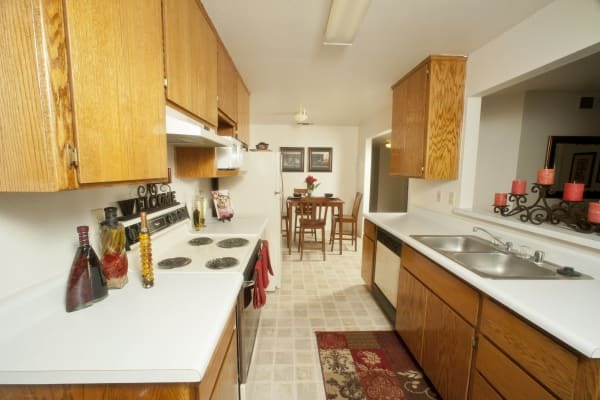 The two and three bedroom apartments at Oak Meadow Apartments in Chico, CA, were designed for comfort and convenience. Large bedrooms and spacious, open-style living areas offer plenty of room for relaxing and entertaining. The floor plans range from 948 square feet for a two bedroom and up to 1,184 square feet for a three bedroom apartment. An in-home washer and dryer simplify laundry day and a dishwasher makes post-meal cleanup a snap. 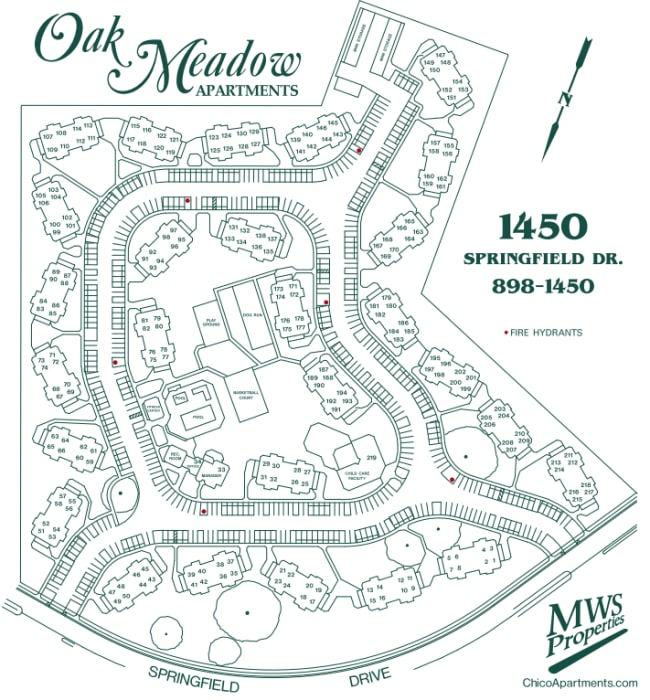 Ceiling fans, air conditioning, and large walk-in closets are just a few more of the perks we offer at Oak Meadow Apartments. When you walk into an apartment at Oak Meadow Apartments, you’ll feel right at home. The open-style layouts feature pass-through kitchens with roomy dining spaces – the perfect spot to enjoy a cozy meal or host dinner parties. Large bay windows create a bright and airy atmosphere that you will love relaxing in – and your dog or cat will, too. The kitchens are fully equipped and even include a handy dishwasher for easy post-meal cleanup. Get in touch today to schedule your in-person tour of our pet-friendly apartments for rent in Chico, CA. We look forward to showing you around our wonderful apartment community.